Leading Manufacturer of toilet soap wrapping machine with servo, abm 3100 soap banding machine, finseal 11ss soap bar packing machine, wrapper 4000 detergent soap over wrapping machine, wrapper 4000ds soap bar packaging machine and wrapper 4000t soap over wrapping packaging machine from Mohali. We are one of the leading manufacturers & exporters of Toilet Soap Wrapping Machine with Servo. Options for hotel soap packs. High-speed operation of up to 180 tablets per minute. 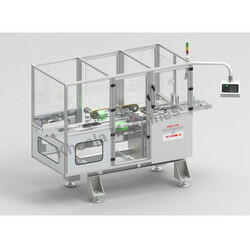 The new design Attention free linking of Autofeed Conveyor to soap stamper. 33% more indexing time for the scrap tablet to move. Twin belts to eliminate any scratch marks on toilet soaps. Excellent quality of soap handling, even for a soft soap. Timing belts allow maintenance-free operation for long periods. We are one of the leading manufacturers & exporters of ABM 3100 Soap Banding Machine. We are one of the leading manufacturers & exporters of Finzeal 11SS Soap Bar Packing Machine. We are one of the leading manufacturers & exporters of Wrapper 4000 Detergent Soap Over Wrapping Machine. 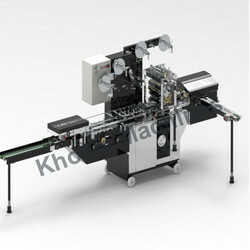 We are one of the leading manufacturers & exporters of Wrapper 4000DS Soap Bar Packaging Machine. 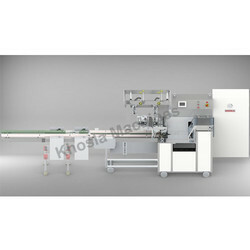 We are one of the leading manufacturers & exporters of Wrapper 4000T Soap Over-Wrapping Packaging Machine. We are one of the leading manufacturers & exporters of Wrapper 4000T Soap Packaging Machines. 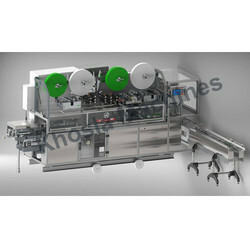 We are one of the leading manufacturers & exporters of Wrapper 4000TS Over-Wrapping Soap Packaging Machine. 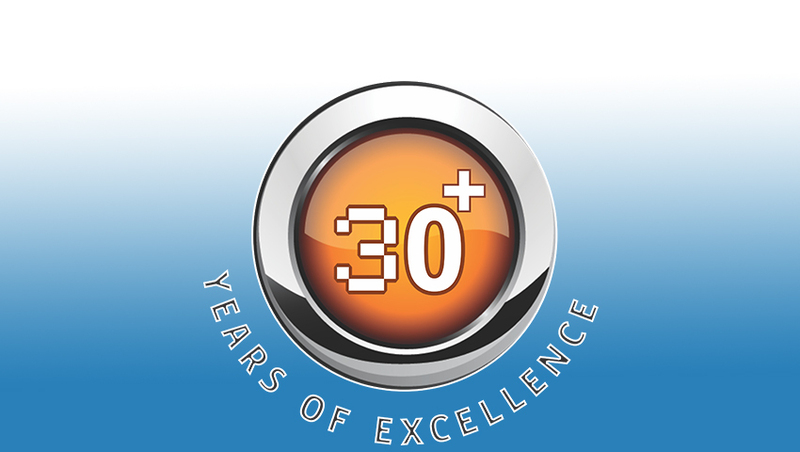 We are one of the leading manufacturers & exporters of Wrapper 8000T High Spead Soap Packing Machine. We are one of the leading manufacturers & exporters of LOGIPAC 51S High Speed Soap Wrapping Machine. 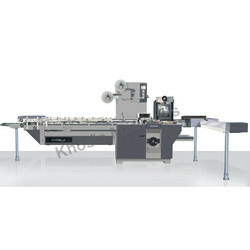 We are one of the leading manufacturers & exporters of Wrapper 4000T Soap Bar Packaging Machine. 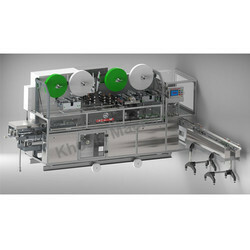 We are one of the leading manufacturers & exporters of Wrapper 4000TS Soap Bar Packaging Machine. 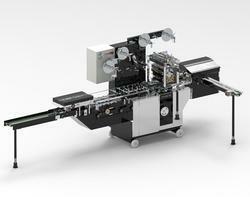 Wrapper 4000TS Soap Packaging Machine is a horizontal form fill and seal machine specifically designed to wrap Laundary Soaps either individually or in groups in a three side sealed pouch. The Machine has indexed belt infeed which can either be directly connected to the discharge belt of the upstream machine which is running at the matched speed, or can be manually loaded. All drives are primarily mechanical. Automation skill level is therefore, not required for maintenance of this machine. Integrated autofeeder for feeding soap in the machine. All surfaces on which soap is transported are made of stainlesss steel. Long seal is formed by means of three pair of rollers, axes of which can be tilted to get best result. Torque slip clutch to prevent damage in case of accidental damage. Low voltage heaters for safety. Individual PID temperature controller for heater. Print registration unit for printed wrappers. Heavy distortion free cast stucture. Wrapper 8000T High Speed Toilet Soap Packaging Machine is a high speed wrapping machine capable of wrapping detergent bars/laundry soaps and heat sealable at a speed upto 160 ppm(depending on nature of product and wrapper). Ingress to the machine is by means of an infeed belt conveyor engineered to index at higher speed. This conveyor is set at right angle to the flow of product for subsequent wrapping operation and can have right hand or left hand orientation to suit the space requirement. Handling of product is gentle throughout the operation and any rubbing of naked product with stationary surface is minimized. We are one of the leading manufacturers & exporters of Soap Packaging Machine. 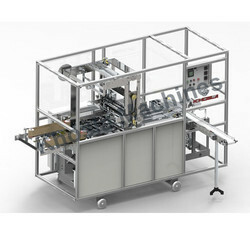 ABM 3100 Soap Packaging Machine is a horizontal form fill and seal machine specifically designed to wrap soaps in a three side sealed pouch. The Machine has indexed belt infeed which can either be directly connected to the discharge belt of the upstream machine which is running at the matched speed, or can be manually loaded. All drives are primarily mechanical. 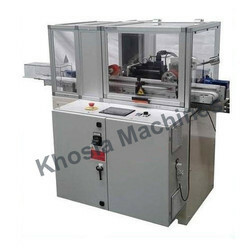 Automation skill level is therefore, not required for maintenance of this machine.